As big on performance as they are on durability – the Abu Garcia 7000 round reel features a synchronized level wind system that provides even line lay and a smooth retrieve. 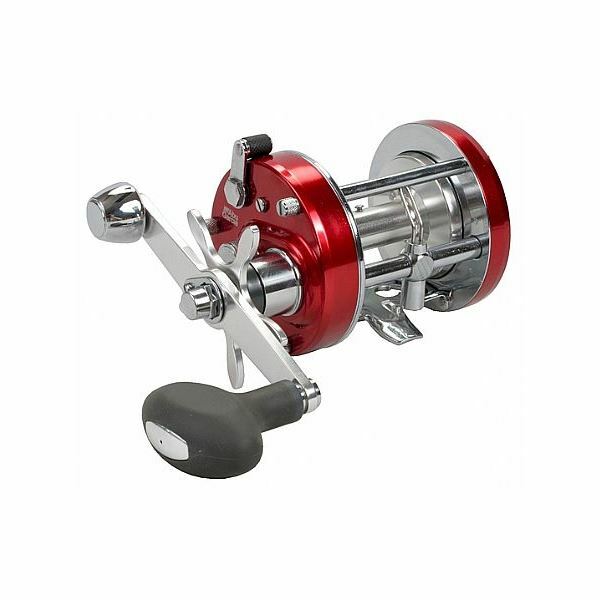 The updated extended bend handle with power knob gives anglers an edge by increasing torque and aligning the cranking hand closer to the reel for more efficient fighting power. The smooth and consistent multi disc drag system delivers pressure throughout the entire drag setting. Each 7000 fishing reel is constructed with a corrosion resistant instant anti-reverse bearing, Duragear™ brass main gear for extended gear life and a four pin centrifugal brake for controlled casts.